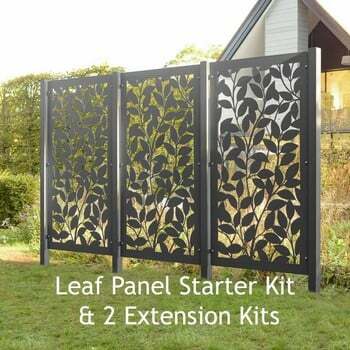 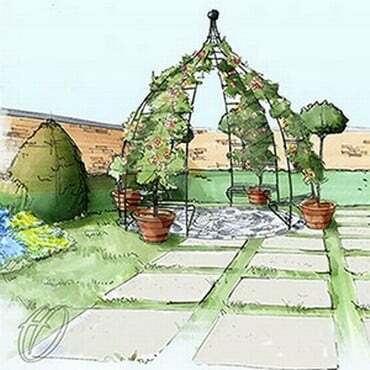 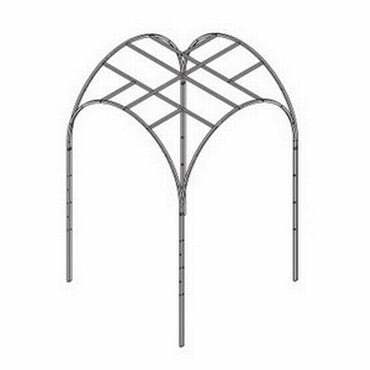 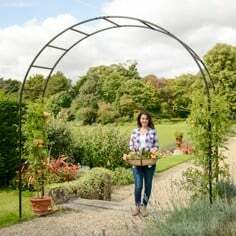 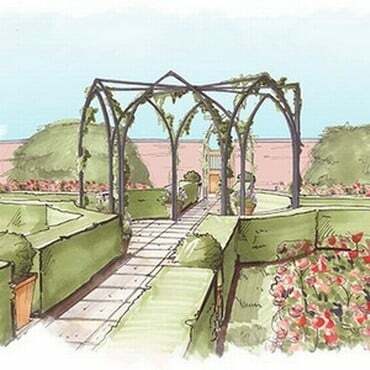 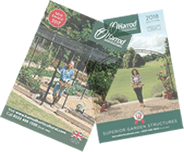 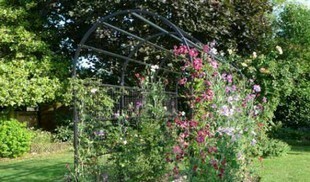 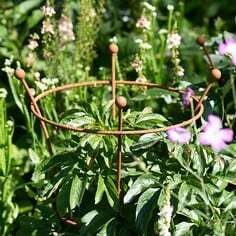 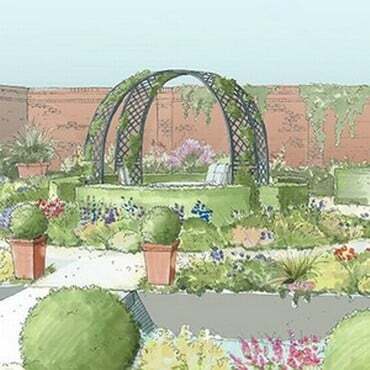 Our range includes our popular Rose Arch Gazebo, perfect for flowering climbers, Fruit Tree Gazebo designed for training fruit trees to create a living gazebo, a stunning contemporary Pergola Gazebo, to create a covered seating area on the patio or deck. 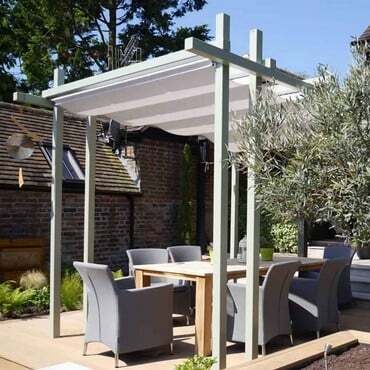 Our stylish New Wooden Garden Gazebo Pods and Garden Rooms have a stunning curved design and the high quality timber outdoor rooms ensures a unique sense of space allowing you to relax or work peacefully in the garden environment. 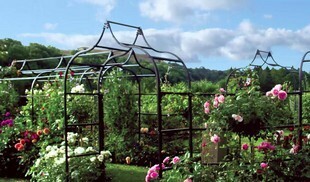 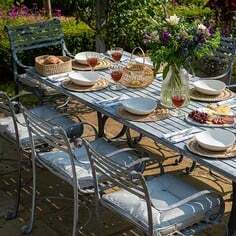 All of our metal stunning gazebos are designed and manufactured by us in the UK to the highest standards. 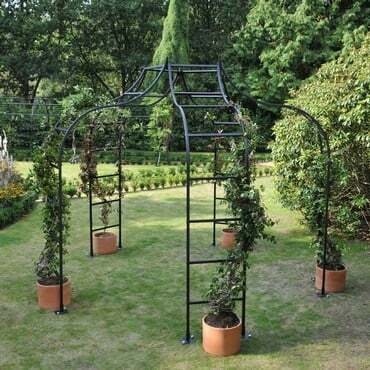 The Rose Arch and Fruit Tree Gazebos are made using strong, galvanised box section steel that is powder coated matt black for a timeless, weatherproof finish and come with a 10 year structural guarantee. 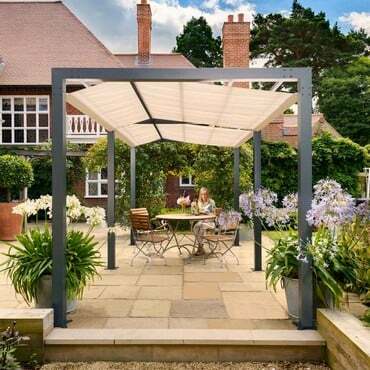 The stunning contemporary pergola gazebo has a substantial 10cm square aluminium frame, powder coated for a modern, stylish finish and comes with a 15 year structural guarantee. 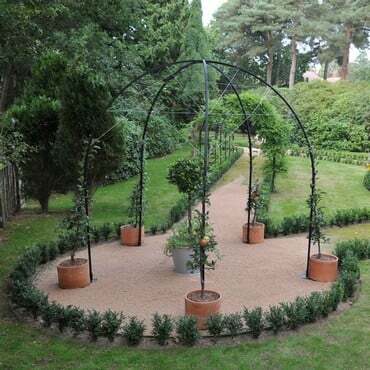 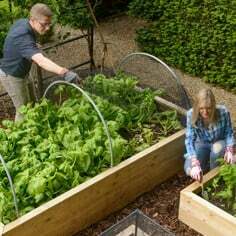 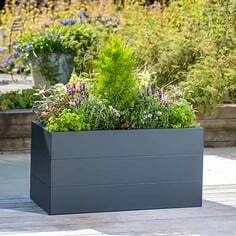 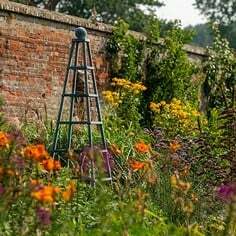 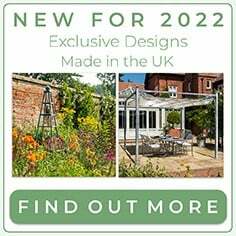 Don't forget if you are looking for a slightly different style or size then our Made to Measure team can work with you to create a beautiful bespoke structure for your garden. 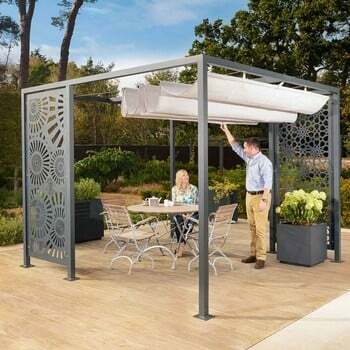 The Contemporary Pergola Gazebo makes a real statement when sited on the patio or deck and the optional shade creates a sheltered, covered area perfect for al fresco dining. 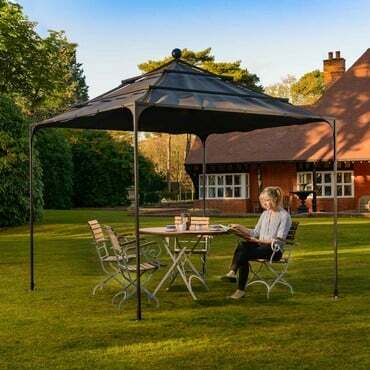 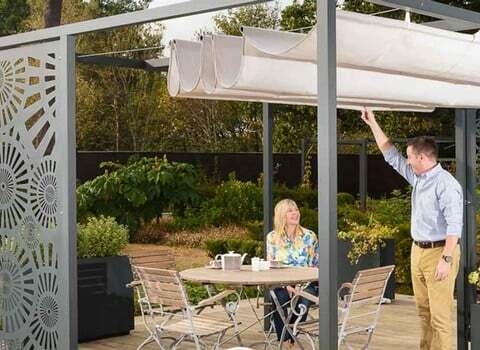 You can also shield from the sun in one of our stylish new wooden gazebo garden shelters, a completely new concept in an outdoor seating area and picnic pod. 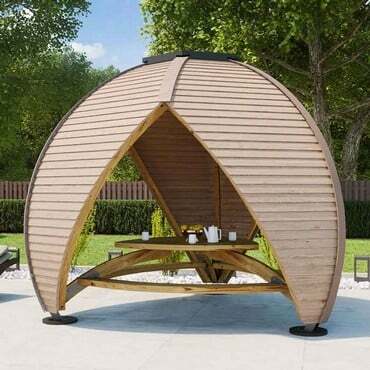 The Elegant Garden Room is the largest wooden garden studio in this range of curved design garden structures, combining a high impact appearance with practical functionality. 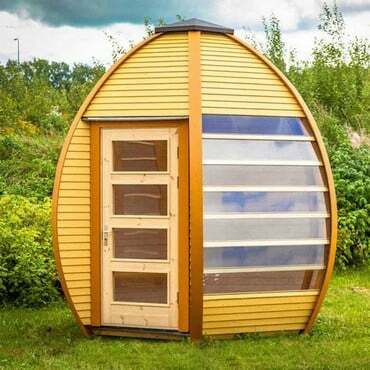 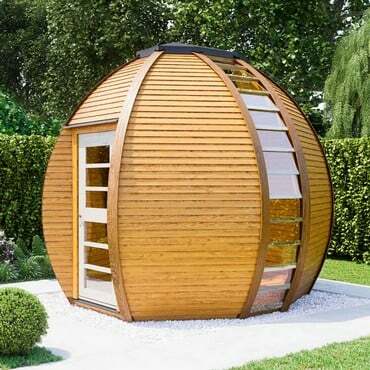 The Smart Garden Room is small enough to fit into most gardens, yet more spacious than a typical garden house.